The Culinary Alphabet. The letter C.
Good morning and welcome to my monthly post, I was going to say from sunny Thailand but having endured temperatures topping 100 degrees over the last two weeks which was great for Songkram which is Thai New Year lots of water and yes if I dared venture outside I got very wet but all good fun. We are now in the middle of a lovely tropical storm which has cooled things somewhat. 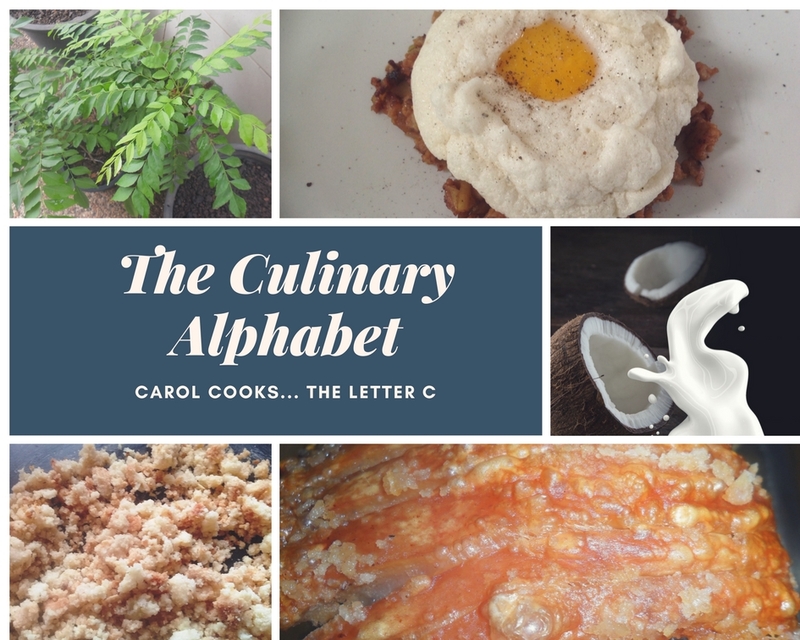 This month my post features recipes and cooking terms beginning with C and yes I know the obvious one is Chocolate but I don’t really do puddings and it melts so quickly here and if it doesn’t it has something in it to stop it melting and those who know me just know that is a big no-no. 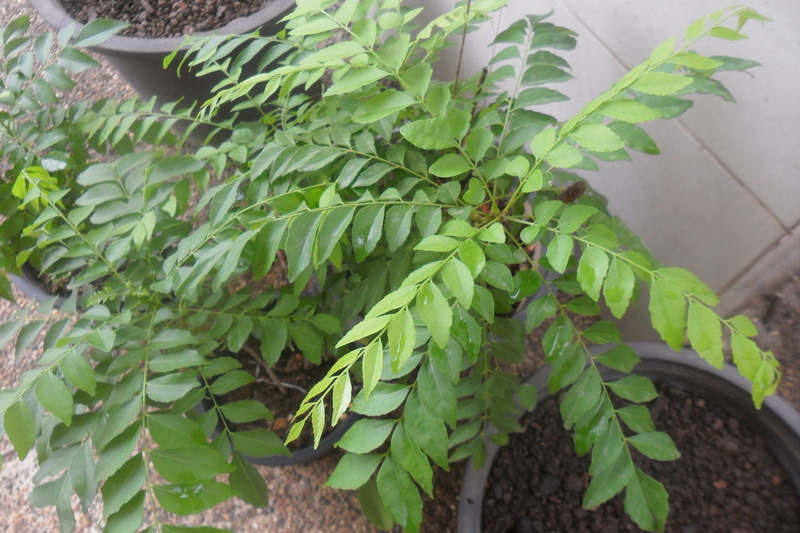 This little tree in my garden… I use the leaves when making curries and curry powders or the leaves can be fried. It is mainly used in Indian cooking which I love as much as I love Thai Food. 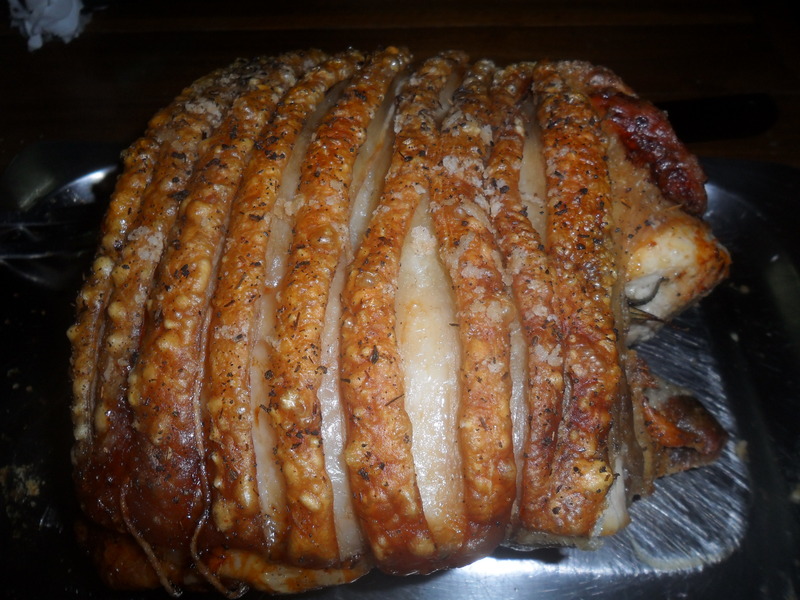 There is nothing better than a lovely piece of Pork with crackling for Sunday lunch …How to make perfect crackling all the time. A circle of greaseproof parchment used to cover a dish while poaching or simmering. The cartouche serves two purposes: it keeps the small amount of liquid in a poached dish from evaporating too quickly, and it prevents that unpleasant skin from forming on the top of a sauce. To make clear. Melt butter to separate the impurities or to clarify a stock for a consomme by adding a mixture of ground meats, together with mirepoix (a combination of carrots, celery, and onion), tomatoes, and egg whites into either boullion or stock and then passing the clear liquid underneath through cheesecloth until the boullion is crystal clear. To cook (something, such as eggs) in liquid slowly and gently just below the boiling point I.E Coddled the eggs for a Caesar salad which brings us to Croutons those lovely little crispy pieces of bread which you get in a lovely Caesar salad. Coconut a most versatile tree and fruit which grows in abundance here every part of it can be used. The leaves are used to serve foods, I drink coconut juice fresh from the drupe every day it is used in cooking curries, in deserts and is also very nutritious and good for your health. If you would like to know more about the Coconut, its uses and how to make your own Coconut oil you will find it all here. Apple crumble and Custard a good old English pudding. Well, I deconstructed it and I must say it was awesome lovely and crispy but soft and no soggy bit between the fruit and the crumble topping so although I am not a fan of many deconstructed anything this was a culinary triumph. Just use any fruit of your choice stewed apples or as I did in the picture below I used mulberries. Rub the butter into the flour then add the sugar and the nuts. 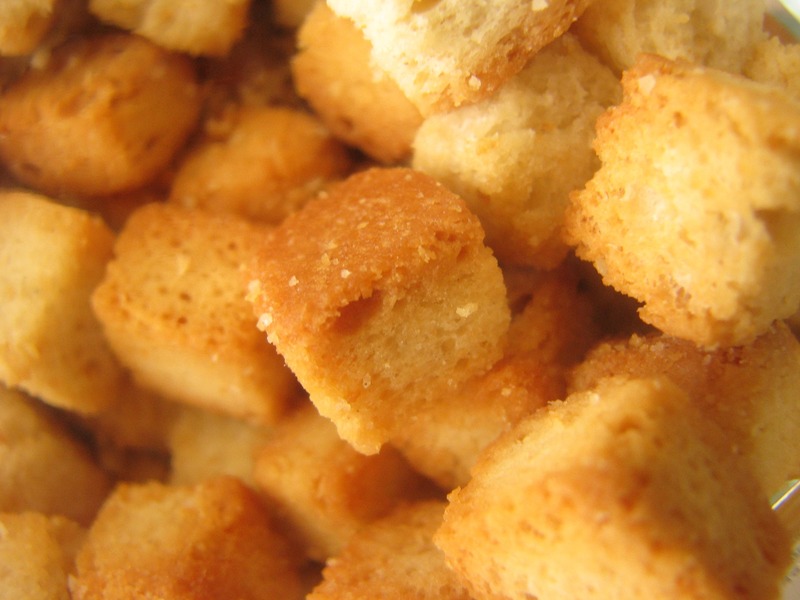 Spread the mixture out on a baking tray and pop in a preheated oven at 180 degrees for 10- 15 minutes. Stir once or twice to get an even golden colour. Watch it carefully as I. Yes, I did! I burnt the first batch Then break up any large lumps. 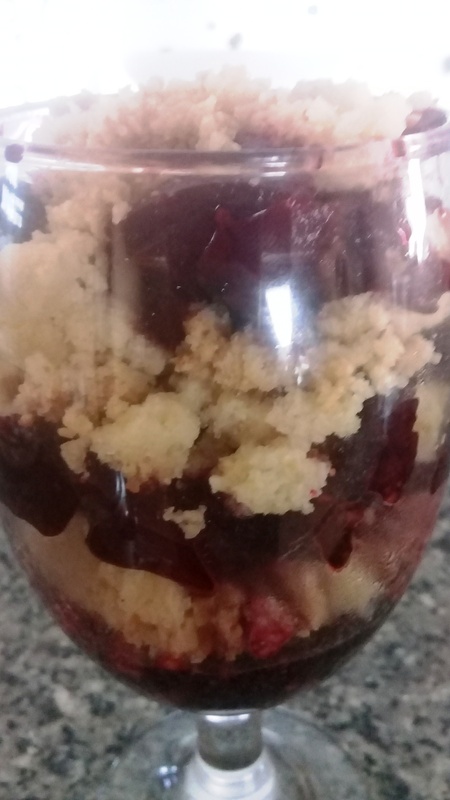 Then assemble the fruit and crumble mix in layers. This went down a treat with the men here. I cannot take the praise for this one they were made by my 12-year-old grandson who loves trawling u-tube and finding experiment, boy’s will boys as they say although this was one of his finer moments and featured on Esme’s Fb page. So just when I thought Sunday mornings were for a lie in, Aston had other ideas and woke me with a bowl of meringue he was whipping. Time to get up then Nannie! Meanwhile chop your onion finely and start to cook in a little olive oil add your minced pork and cook for about 3 mins or until cooked, add a little dark soy and your oyster sauce. Taste and season with salt and black pepper. Put on a plate and top with your cloud egg. This was Aston’s recipe as he loves his meat so thought he would just do some mince and onions to go with the cloud egg, an experiment really as he is already thinking he will make some additions that next time, Chilli and some green beans. He has some imagination when it comes to food. But he is a 12-year-old with a passion to cook. That is all on the letter C and not a recipe for chocolate in sight. 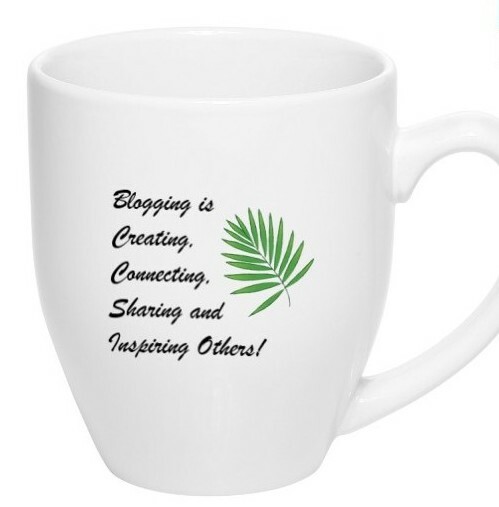 Hi Lisa, Thank you for the hopping over and reading this monthly guest post. Carol always have very good posts, and recipes added. It’s true, nothing but the truth. Lovely post, loved the recipe of crumble..will give it a try soon !! This is great! So many great foods and useful information around the letter “C” – can’t wait for the next installment – bravo! I learned a new word here, “cartouche”! Brava, Carol . . .
Love Carol and her Thai life. That’s interesting about the pork crackling. I always believed it was very unhealthy but now I’ll be having some! That pork cracking good news made my day! It’s always a feast and enjoyed in our family. 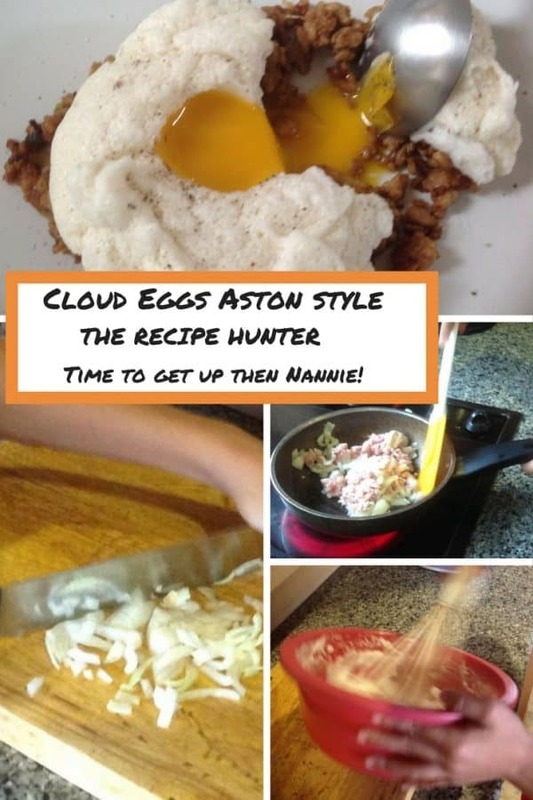 Mmm… Cloud eggs. That sounds delicious! !